You can see that around the space time, species A breaks through the end of the reactor, and rapidly rises to a steady state value. It isn't really illustrative to examine only the exit concentration. 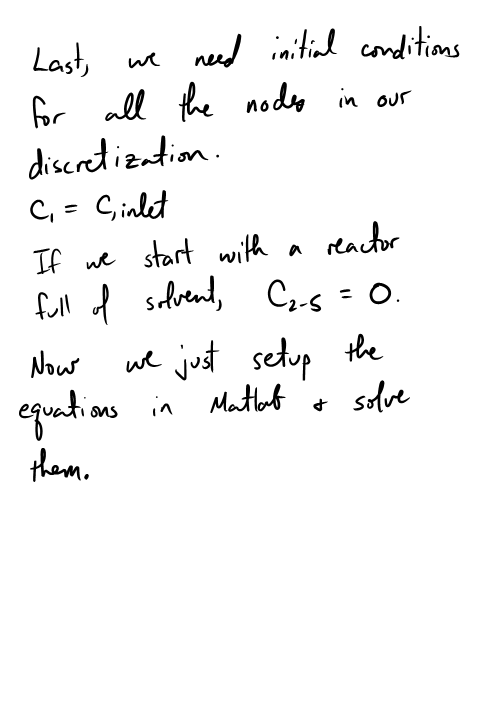 We can also create an animated gif to show how the concentration of A throughout the reactor varies with time. % now we write out the image to the animated gif. 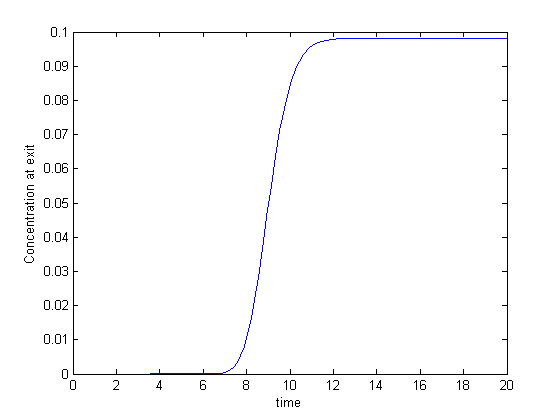 You can see that the steady state behavior is reached at approximately 10 time units, which is the space time of the reactor in this example. 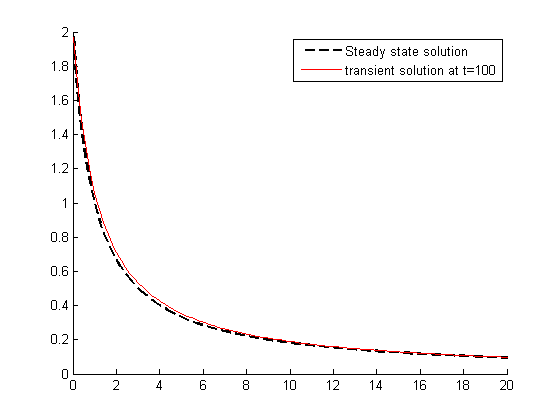 there is some minor disagreement between the final transient solution and the steady state solution. 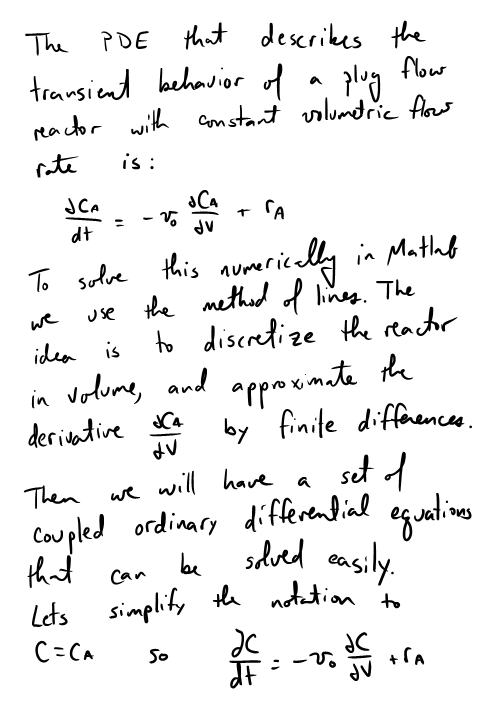 That is due to the approximation in discretizing the reactor volume. In this example we used 100 nodes. You get better agreement with a larger number of nodes, say 200 or more. 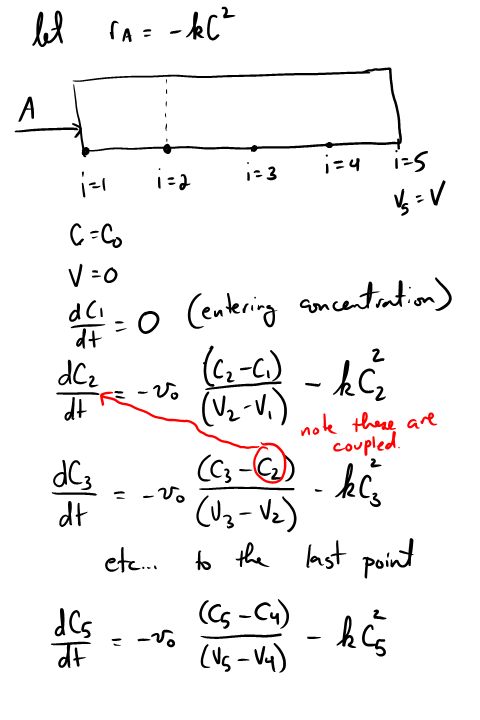 Of course, it takes slightly longer to compute then, since the number of coupled odes is equal to the number of nodes.